← Thunder Run 24 – done! We got Susan Partirdge’s water bottle! Whilst we were running out loops of park down in England … some rather talented athletes were running a couple of loops around Glasgow today for the Commonwealth Games Marathon. 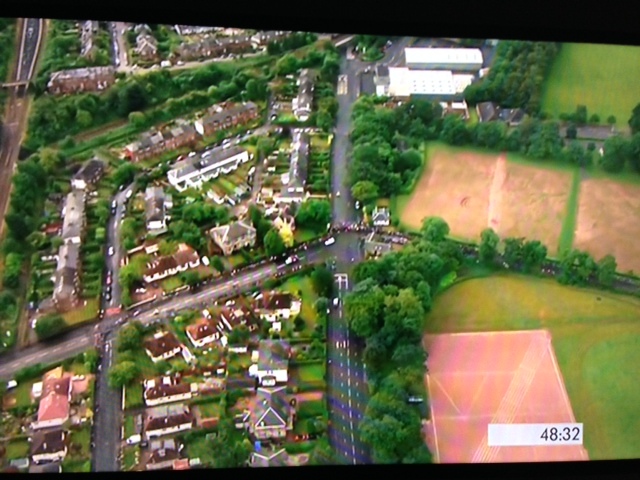 I missed it, but Fit Girl recorded it in our TV and went out to see the race as it passed close to our house. After I came back from the event, I put my feet up and watched the marathon unfold. 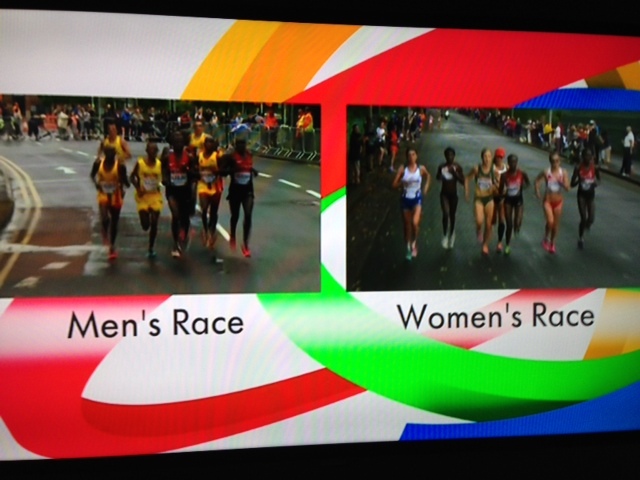 Both the mend and women’s race. What great races the Australians had! 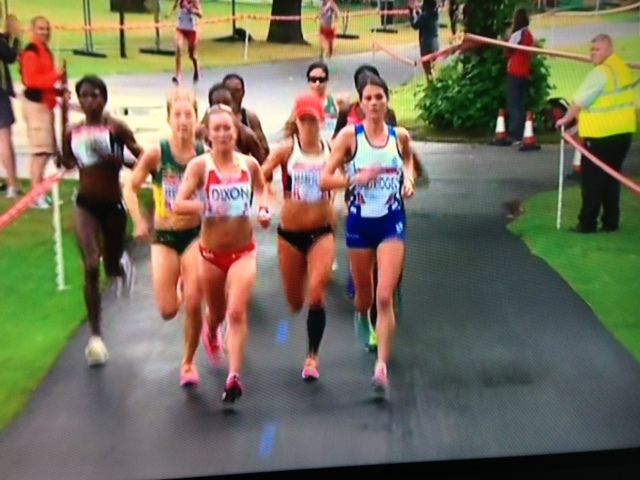 But if they’re used to running in the heat I was running in on Saturday, no wonder they did so well in the rainy and cool climate of Glasgow. 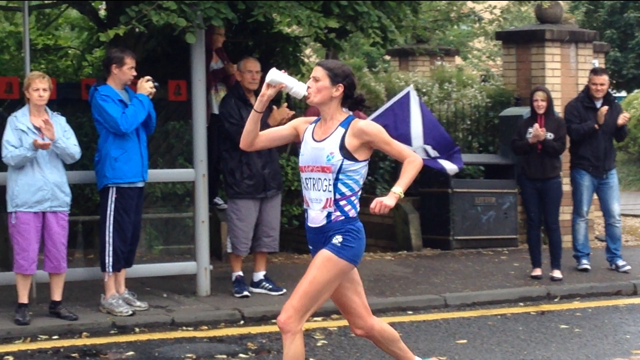 First female scot home was Susan Partridge on sixth place. Fit Girl got a good picture of her when she passed on Govan Road. Just after she drank from that bottle she threw it towards Fit Girl and she picked it up. Now we have a real souvenir from the Games! I wonder if it will make me run faster? (Although I ain’t running anywhere soon!). 😉 Thanks to Fit Girl for not only taping the marathon, but filming quite a few of them pass, taking their photos and getting Susan’s bottle! As a nice wee surprise I bought Fit Girl and I tickets to see the Closing Ceremony on the 3rd August as a surprise!! We’re both really excited! 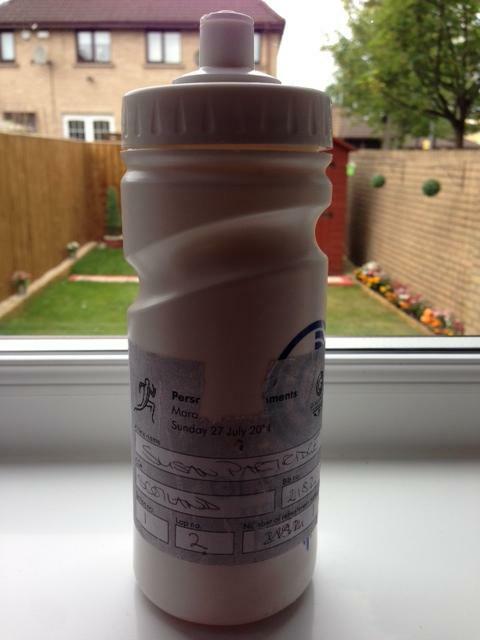 1 Response to We got Susan Partirdge’s water bottle! Must be very exciting for you guys being so close to the action, was quite a dramatic entrance for the third place girl woozy suzzie. But wasvery happy happy for all who finished expecially my Canadian Lanny Marchant.